The saying goes, “The older you grow, the wiser you become.” Not so with me, I was wiser when I was younger. I once shared my university experiences here and sparked a raw debate but one thing I didn’t mention that was a positive during my university days was that I was an investor on the Zimbabwe Stock Exchange and I was doing it quite well too. In my first year of university I met Robert Kiyosaki, well I didn’t meet him, meet him… I read his book Rich Dad Poor Dad. That book made quite an impact on me especially because it was asking the questions I had been carrying for years. If you haven’t read here is the summary: Robert talks about his childhood with his highly educated father (his poor dad) who had a senior job but never could escape the rat race and be financially free. He contrasts him with his rich dad (who was really father to Robert’s friend) who though practically uneducated went on to become one of the wealthiest men in Hawaii. I identified with this narrative because my father was also a highly educated man but he was not super rich. We were not poor but I didn’t see a correlation between my father’s sacrifice to educate himself attaining several degrees and wealth and financial freedom. Kiyosaki in his book explains why in very simple terms. The central theme in the book is that the poor (even the middle class are poor if they do not control their time) work for money whilst the rich have money work for them. How? Investing! Kiyosaki said become an investor and so we (my friends and I) set out to be exactly that. You need to invest something, it’s impossible to invest nothing. So what were we going to invest? We did all we could to raise money. I organised a concert for high school kids in Marondera and it flopped because you don’t organise an event in Marondera when you are at a university in Harare – lesson learnt. I started an instant photo business and it didn’t take off meaningfully but still the hustle continued. This was #MyZimHustle indeed. I tried my hand at fashion, magazines, another concert (hosted at UZ this time) but still the hustle didn’t give me any money to invest as Mr Kiyosaki said I should. I struck gold eventually and it was in the most obvious place… it was right under my nose. I was studying for a Bachelor of Science in Food Science and Technology degree which, or at least, I was supposed to be studying… Anyway, I looked into shifting the hustle to what was supposed to be my core business at the UZ in the first place and voila! At that time a lot of people were starting small scale food processing businesses particularly milk based drinks (those that people call Cascade even though they are not). They didn’t know jack about formulating the products and processing and all the rest. To be honest I didn’t know either but I was supposed to know! So I became a ‘consultant.’ A proper one isn’t it? We all know consultants know nothing but somehow they earn money by offering Googled advice that was written by other guys who Googled it… I digress. I had money to invest! Added to that I bought a fast food business on the UZ campus and started to employ students to flip burgers as I invested the little that came from it. Some of my friends who were shareholders in my ventures also struck gold offering CD writing and typing/printing services to the rest of the student population (computers were still very scarce). We would go to meet our brokers on Fridays to be instructed what stocks to buy etc. For knowledge we laid our hands on every e-book or newsletter we could on securities investing and listened to any audio recordings by Kiyosaki and other investors mostly from the US. Our obvious favourite was Warren Buffet. One friend and I even called our little respective portfolios Berkshire Hathaway. The beauty was that our investments were actually growing! Remember 2007-2008 were hyperinflation years. Our portfolios were actually growing beyond the inflation. How did we know? Sometimes when our hustle end of things was not ‘firing’ we would liquidate very small portions of what we owned and the little we liquidated usually bought us stuff that was more than what we could buy at the time we made the investment. So why am I sharing this story? I am launching a series on investing on the Zimbabwe capital markets (Stock markets and money markets). In the next article I will take you through what the different markets offer and what the different terms mean etc. We will look at the health of our markets and we will whet your appetite to learn more so you can consider to participate in these markets. This is a series in support of a campaign by the Securities and Exchange Commission of Zimbabwe to make investors out of all of us again and I think these are noble efforts. The hash tag to this campaign is #MyZimHustle thus I shared #MyZimHustle. I know someone will comment below about the health of the economy and why it’s a bad idea to invest, but let me answer you. Look at what is happening on our markets right now. Check how much shares are selling at right now and then compare that with the net asset value of those listed companies. You will realise that there is quite a good reason to be bullish right now. We will explain these terms as we go ahead in this series and much more. However, invest in knowledge before you attempt to invest your hard earned hustle money. So, to finish my story. What happened next? 2008 happened! Things got crazy, people could not withdraw their money from the banks and people started ‘burning.’ The hustler in me overpowered the rational Kiyosaki educated investor in me. I thought, wow if I sell all these shares (they were not many really) and get the money out of the bank somehow and I start burning I will be mega rich overnight. I sold the shares, couldn’t get the money out of the bank even though I had been promised I could. I couldn’t burn with money in the bank. Before I could buy shares again dollarisation came and everything turned to nothing. At that time I comforted myself thinking even those who had held onto their shares had lost too because the ZSE was reset to fractions of fractions of cents per share. The people who held onto the shares thought they had lost as well. They were wrong and I was wrong. Right now there is USD19 million worth of share certificates (21 000) that are unclaimed because people just gave up and thought they were worthless. We will talk about those in future articles but they are there and if I had been a proper Berkshire Hathaway man for a few days longer I would have my little stake in that $19 million treasure chest. That is the point of this long article. It’s good that we are hustling here in Zimbabwe, God knows how we are managing to feed our families. However, at the end of the hustle what will we be left holding? Should we not take a portion of our hustle gains as small as they are and invest them. There are risks on these markets yes but if we are honest there are bigger risks on the hustle grind. Let’s invest in financial intelligence and let’s think beyond where we are right now. Let’s keep hustling but as we hustle let’s remember to fund the piggy bank, I hope we will lead this conversation here on Techzim. Join the conversation in the comments below and on social with #MyZimHustle. These guys write books so you pay them thinking you getting some value, you are the loser at the end of the day. how dumb can you really be? suckers!!! Its people who know nothing about making a living. Robert Kiosaki is a multi millionaire. You own an ex-Japanese car and we are the suckers? These books they write about are their life experiences and they have the proof. You are going to interviews with your heart pounding because you want to be employed by the people who write those books. Keep your 9 to 5 job and keep on gossiping about your boss. That is if you even have a boss to talk about. Tinashe Nyahasha thank you for trying to help these ungrateful and selfish people. Thanks for the great article. I prefer investments that offer guaranteed returns, but they come at a cost, i.e lower rates. Just after dollarisation, I used to invest half my salary in unit trusts, the average rate then was 10%pa. Now that I have moved to S.A, I continue to put my savings in unit trusts. In real terms, I earn almost nothing, but I’m not losing anything. The average rate is 8%-10% pa, but year on year inflation averages 5%-7% so in a bad year I may only make 1%pa in real terms. Yes Unit Trusts are an option. You will be taking advantage of capital markets albeit indirectly. Robert Kiyosaki is against them but I do not agree with him on this one. I think they are the only way to passively invest on the markets particularly if you can’t commit to too much time resources in learning about these markets etc. The only other way is to have a private advisor but they come at a huge cost and only make sense when you have several hundreds of thousands to invest. Besides, how do you know a good one when you see them? Its true that the Zim dollar is back, aka Bond Notes. You are right in that it was all about hustle. Initially it was so I could raise money to invest (I was a student with no money). I then got attracted to the hustle when things seemed bad and I liquidated real asserts to try burning! Wrong move. I don’t agree though that stocks are overpriced. Make a comparison between total market capitalisation on the ZSE and total net asserts and you will see how much undervalued the stocks are. That’s why you see a lot of foreign institutional investors coming in and doing deals to buy near controlling stake in a number of companies and that’s why there are a lot of consolidations etc. You are right that demand will be increased by people buying shares just because they can’t take money out of the bank but as long as you are watching the real net value and comparing that to the trading price you will be ‘safe.’ Safe in quotes because there are always risks. To illustrate the point though: If a $20 000 Mercedes is selling for $10 you know it’s underpriced right? And then if demand increases pushing the selling price to $10 000 is it now overpriced? The same principle you use when bidding at an auction applies. You keep raising the bid as long as your perceived value of the item is higher than the current competing bid. You only stop when the two are almost the same or when you know you don’t have the money to buy even if the item is still cheap compared to the value. All this comes from investing into an intimate knowledge of the markets. That’s not true at all , EVERY ONE CAN AFFORD TO SAVE. even the beggar on the street can save. We may not have billions to save but we do have something. You want evidence ? The existence of Delta beverages is evidence. these are totally non essential beverages on which Zimbabweans spend millions every month. Let me also give myself as another example, I got into snooker as a recreational after work activity at some point in my adult life. I would play almost every day of the year and on some days I would use almost $5 dollars on tokens. During 2015 I know for a fact that I used not less than $600 on snooker alone then I quit. Did I have fun ? yes , As much fun as the guy who spends his money on beer in a sports bar. We all can save. Interesting article. I hope this will motivate a couple of people, especially the youngsters. However i noticed u did not mention real estate investments. Its the new gold mine. I hope in your next article you will talk about that. 1. I have never invested in real estate so I don’t really know the ropes but it will be interesting to learn and share as I learn. 2. This series is particularly on Capital Markets in support of the campaign by SEC to educate Zimbabweans on how these markets work. We will try to get a real estate player to sponsor a real estate focused series… Wish us luck! 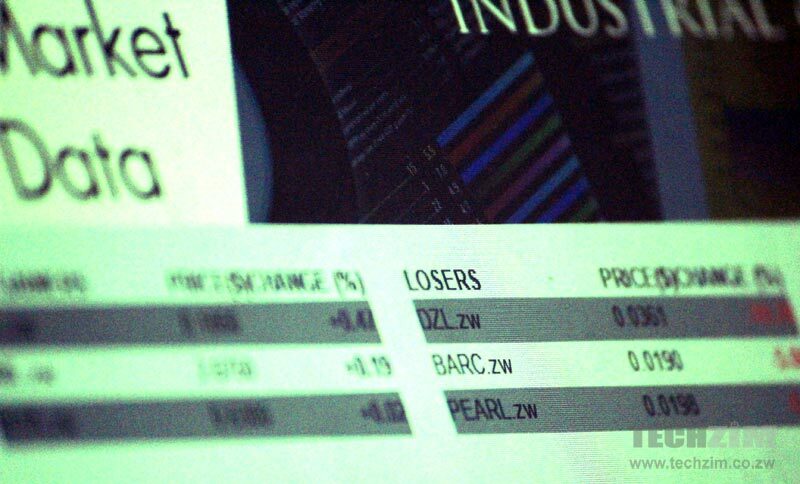 ZSE is good to invest in it but trading forex and buying crytocurrency is now the future if one is serious about investing . I understand your argument regarding local capital markets and it’s valid- heck I even agree with you. I think though it then gets to appetite for risk, how long a game one seeks to play and one’s perception of the impact of next year’s elections. I have my own answers to these questions and each individual should have their own answers. I can quite resonate with your experience,meeting Robert Kiyokisaki was one of the worthwhile experiences in my entrepreneurial journey.I should confess that investing in stocks is still a mystery for me though.I love the article,I love the topics on investments surely gives me something to think and plan for!! It is quite a mystery to a lot of people. Mysteries are a great thing aren’t they? In fact I think once we stop seeing the wonder in these things is the day we stop learning and it then becomes the day we stop growing. Happy learning! How do I get email notifications when an article in the series is posted? Hi Leslie you can subscribe to get notifications for our articles by clicking the red circle with a bell symbol on the bottom right of your screen if you are on desktop or you just click allow on a pop up that says allow techzim to send you notifications. Please note that, these are notifications for select articles not just this series.